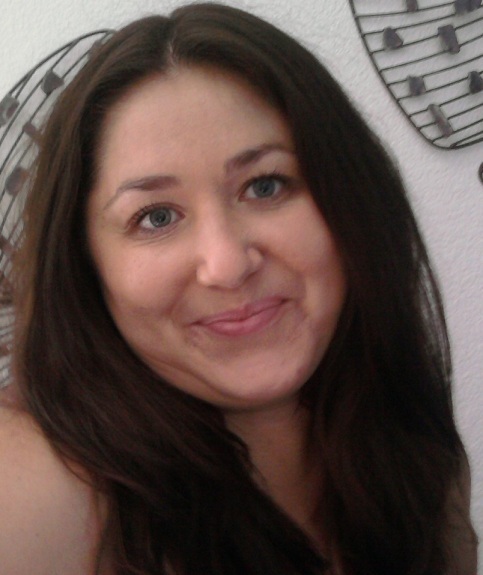 It is with pleasure that I introduce Aneta Cruz with this interview. 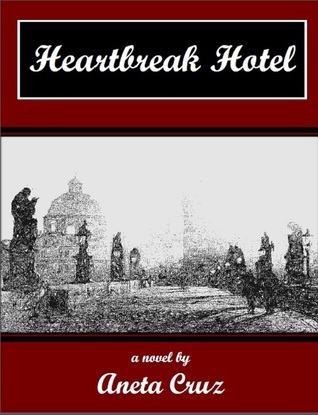 Author Aneta Cruz is pleased to announce the release of her latest novel by Black Opal Books entitled Heartbreak Hotel, on September 14. TD – Your website is very nice, and very photographic. I couldn’t help seeing the MFA section. Congratulations. When was that? I received my MFA in Creative Writing in June. It’s been a lot of hard and time consuming work, but it was worth it and I loved every minute of it. Well, except for the migraines which seem to have subsided since I got my degree. TD – The publisher blurbs are always such a tease, but tell me a little about HEARTBREAK HOTEL. AC – The novel is a quirky, coming-of-age story about a young hotel clerk who is trying too hard to find Mr. Right. She has a very strange collection of friends/co-workers who add to the hilarity of the plotline. There are some scenes in which you’ll want to wag your finger at the antics of the character, and in some parts you may want to grab a tissue. TD – Who is your audience? AC – The novel falls into a pretty large genre slot. It can be read by a YA and NA audience. It’s definitely Women’s Fiction and would make a cool chick-flick. Wink, wink at moviemakers. TD – The late Vince Flynn thriller author, gave a radio interview, not too long ago, about his writing regimen and it was interesting as he went through almost an entire year, several months and such. Do you have a set method of how you write? AC – Jeez. I’m the world’s biggest procrastinator. Famous authors always lecture us about being disciplined, writing every day, having a “special” place in which to write. I honestly don’t think it works that way. When the inspiration hits you—you just write, no matter where you are or what time it is. You can’t wait to get to that “special” place or say, “Hey, I write every day at ten and since it’s only eight, you’re out of luck, my dear Muse.” So there. As for me personally… most of the time it may seem like I’m staring into thin air, but there’s a whole world playing out inside my head. And when I get to live in that world, I have a much easier time describing it and the people who live there. Of course, some crazy character decides to appear halfway through the story and just demands being a part of it. But who made me the boss, right? I’m just a vessel through which the narrative flows, so he/she always makes it in. TD – I also saw that you recently traveled to Europe. Where exactly? AC – Yes, my family lives in the Czech Republic. I came to the U.S. when I was twenty. When I go back home I make a trip out of it and criss-cross Europe as much as I can. It’s always good to be there and makes me think, How could I have left this beauty? My husband and kids want to live there, so I guess that one of our future trips may be a staycation. TD – Is our food that bland? AC – I’m sad to say it, but it is. When I first came to America, I wasn’t able to eat for a whole week because bread tasted too sweet, milk tasted like water, cheese was like styrofoam… When I was practically starved to death, I started on apples. From then on, my taste buds sort of adapted to the food here, but every time I go back to Europe, it feels like my tongue has been invited to an awesome party. TD – If it is all right, may I ask you, where do you live and work? AC – [sighs] I live in hell. The official geographic location of hell is the Coachella Valley in Southern California where temperatures easily reach 120F in the summer. Imagine having the air conditioner on 24/7 at least 8 months of the year, wearing shorts and t-shirts at Christmas, being able to fry an egg on the asphalt, getting sunburnt while taking out the trash…oh, and when it rains here, it feels like someone in the sky decided to hock a loogie every here and there. I work for one of the local school districts with children with Autism. That’s all I’m allowed to say. TD – What’s the next book about? AC – I’m glad you asked me that because I’m very excited about it. Well, there are two, actually. The first one is a historical fiction with supernatural elements. It’s called The Guardian and it was picked up for publishing by Black Opal Books. In a nutshell, the novel is about how humans create monsters, from mythological beings to more tangible ones like the Nazis for example. It was my MFA Thesis about monstrosity, and it’s awesome. The second one is a fairy tale in the style of the Brothers Grimm. It is a novella length story and it is geared toward the Middle Grade audience, though I’m sure adults love to read fairy tales, too, but they don’t like to admit it. [chuckles] It’s called The Mysterious Mandolin and it will have fantastic illustrations. It’s nearly done and I can’t wait to publish it. Always falling head over heels for men who have nothing to offer her, and running from those who do, Kara realizes that her quest to find Mr. Right is harder than expected. As if her “mostly ludicrous” dating escapades weren’t enough to deal with, her unusual combination of friends—one gay, one a virgin, one dating a married man, and one always telling her to “give it up on the first date in order to start a flourishing relationship”—isn’t of much help in matters of the heart either. Perhaps a kiss in the middle of the Charles Bridge could finally bring her happiness. But wait! That’s just an old myth, isn’t it? This entry was posted in Uncategorized and tagged author, fiction, new fiction, novel, releases, Story, Writer by timdesmondblog. Bookmark the permalink. Tim, thank you so much for having me! Congratulations on your book release, Aneta. American food is bland? Hmmm.